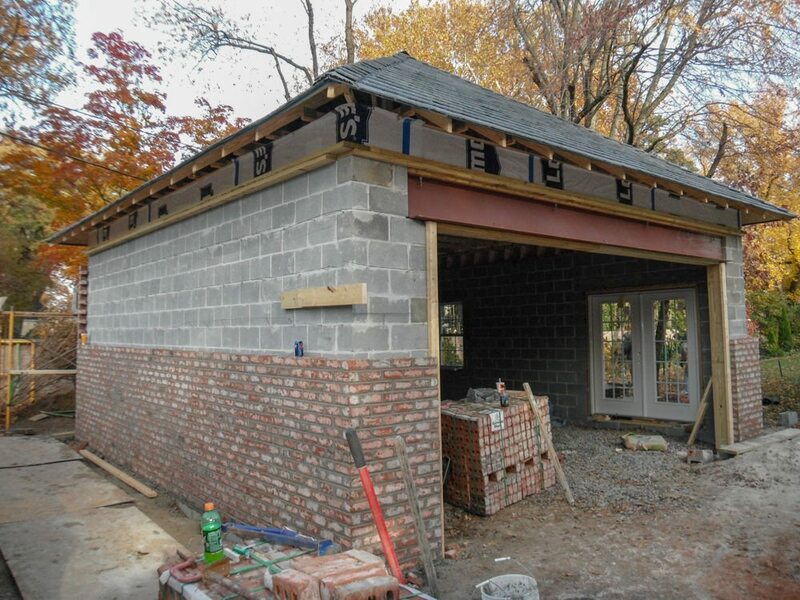 Here is a recent photos of the brick veneer installation at our Cary Street project.The brick veneer is an over sized General Shale Natchez brick with Roanoke type S mortar. When original wall block was laid we installed ladder wire which is spaced every 2 blocks and ties brick in to the wall. Steel lintels are installed over all windows and doors.